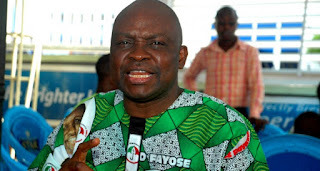 The Presidency has dismissed as laughable the attempt by Governor Ayo Fayose of Ekiti State to link wife of the President, Mrs Aisha Buhari, to US Congressman, William Jefferson’s bribery scandal for which the American lawmaker was convicted in 2009. Garba explained however that “the Presidency chose to respond on this occasion for the sake of innocent Nigerians who might be misled by Fayose’s shameless and blatant distortion of facts”. He said ignoring Fayose carries the risk of giving traction and credibility to outright and brazen falsehoods inconsistent with the status of anybody that calls himself a Governor or leader. Shehu also challenged the Ekiti Governor to produce evidence from the records of investigation and subsequent trial of Jefferson to prove that Buhari’s wife Aisha was in anyway linked to that scandal. He explained that common names alone are not enough to automatically link innocent people to crimes or scandals, especially in an era of identity thieves.